Students graduate in December and May. An annual graduation ceremony is held in May in Phillips and Arkansas Counties. When a student is scheduled to graduate, the advisor and student must fill out a Graduation Application (see below). A degree audit must be attached to the application and sent to the Vice Chancellor for Instruction’s office. Any course substitutions must be written on the degree audit, and the degree audit must match the catalog year for the student. The deadline to submit an application to graduate in May 2019 is March 15. To earn an Associate’s Degree, at least thirty (30) credit hours or the last fifteen (15) hours must be earned from PCCUA. For a Technical Certificate, at least half the credit hours must be earned at PCCUA. 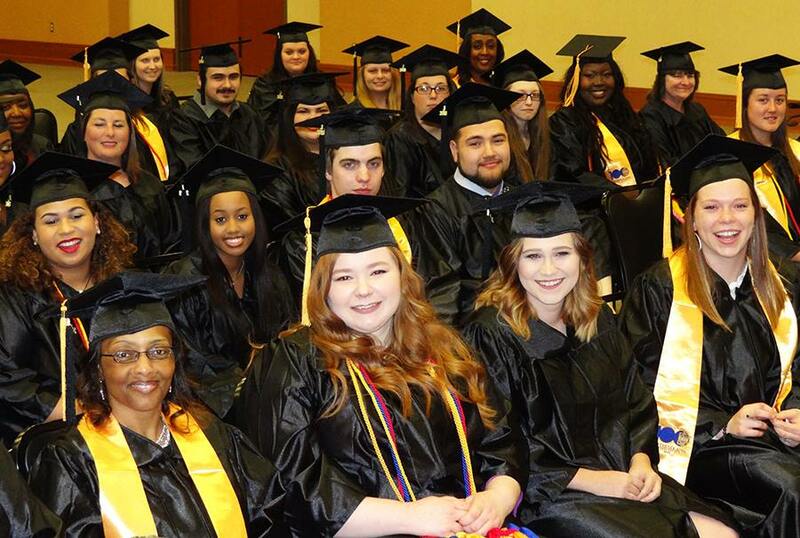 Students can only receive one Associate of Arts degree from PCCUA. PCCUA will award an Associate Degree or a Technical Certificate to students who satisfy all specified requirements. Students completing requirements in a college or university parallel program may be awarded the Associate of Arts Degree. Students completing a two-year program in occupational education may be awarded the Associate of Applied Science Degree. Students completing a one-year occupational program may be awarded a Technical Certificate. Students graduate in December and May. An annual graduation ceremony commencement is held in May in Phillips and Arkansas Counties. Complete a minimum of sixty (60) semester hours of approved credit toward the desired Associates Degree; complete a minimum of thirty-two (32) semester hours of approved credit toward the desired technical certificate. Associate of Arts degree candidates are required to participate in the general education outcomes assessment before graduation. At least thirty (30) credit hours or the last fifteen (15) hours toward an AA or an AAS degree must be earned from PCCUA. At least half of the credit hours toward a Technical Certificate must be earned from PCCUA. File an application for graduation with an advisor. Fulfill financial obligations to the college. A student completing all graduation course requirements whose cumulative grade-point average for all college course work is a 3.5 or higher is recognized as a PCCUA Honor Graduate. This recognition is documented on the student transcript. In addition, this recognition is noted at graduation in the com- mencement program. Social and Civic Responsibility Demonstrate adherence to legal/ethical standards established by society. Technology Utilization Use tools of the trade to achieve a specific outcome. Analytical & Critical Thinking Display reasoning including analyzing data, evaluating alternatives, setting priorities, and predicting outcomes. Communication Engage in the interactive process through which there is an exchange of verbal and/or nonverbal information. Cultural Awareness Acknowledge that society is diverse with groups of individuals possessing differing beliefs, values, attitudes, and customs that are shared from one generation to the next.